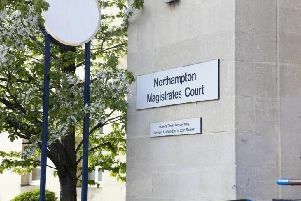 The jury in the case of a Northamptonshire man, who is accused of murdering his friend, will restart their deliberations on Monday morning. Danney Beaumont, of Maple Road, Rushden is currently on trial after he was charged with the murder of Steven Smith, who suffered fatal stab wounds at his home address in Trafford Road, Rushden, on October 25 last year. The jury in the case were sent out to consider a verdict at midday on Friday. Judge Rupert Mayo later sent the jury home for the weekend and said they would restart their deliberations at 10.15am on Monday. The trial has been running for two weeks and the jury has heard that Mr Smith died after he suffered stab wounds to his chest and back. Opening the prosecution case, Amjad Malik said Beaumont had deliberately killed his friend in an “act of pure aggression”. Beaumont denies a charge of murder. The trial continues.